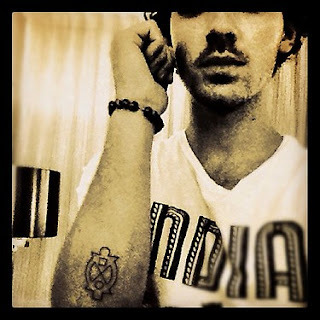 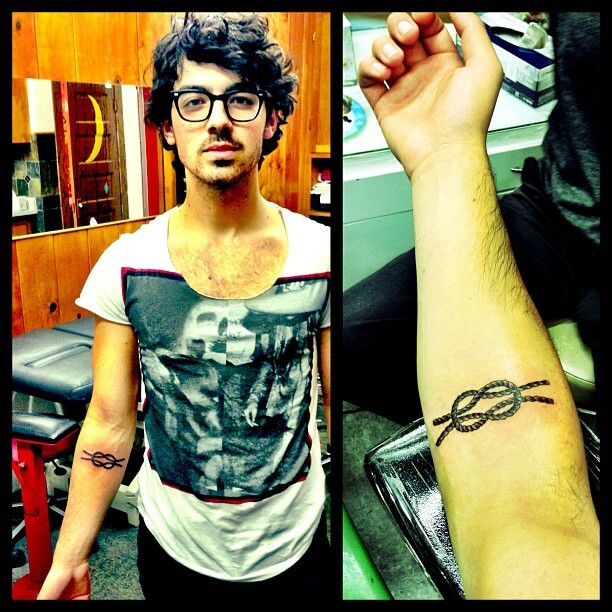 Joe Jonas just tweeted this picture at the Tatoo Palour with the tattooed arm looking angrily red from inking. He explains the Tatoo, "Two ropes (two parents) makes four ends (four brothers)"
In October, he tweeted a picture of his then new Tatoo,which was revealed to be an African Adinkra symbol meaning "help me and let me help you," or "help me, help you." The symbol stands for cooperation.